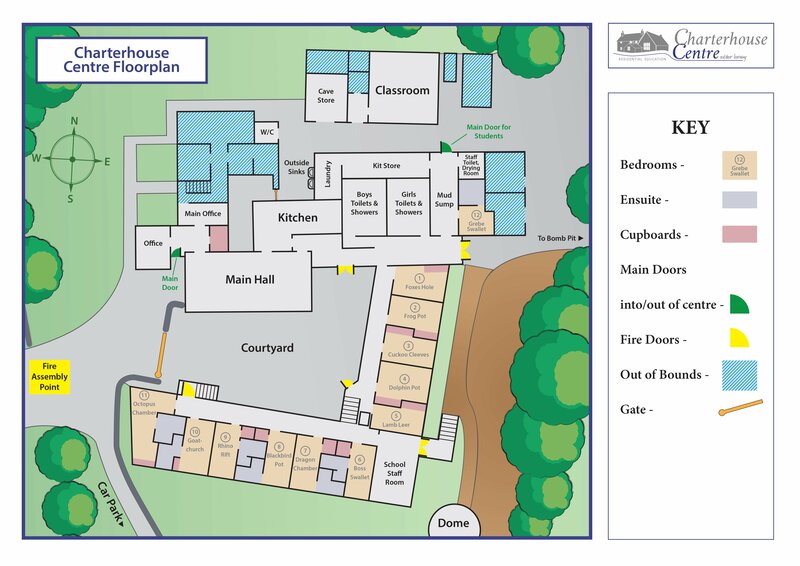 Charterhouse Outdoor Centre, Cheddar, Somerset, sleeps 20-63 in 12 bedrooms. If you're looking to get a large group of people together, Charterhouse is the perfect place for you. Whether you're planning a family celebration, an outdoorsy weekend with friends or are a special interest group needing a base for your event, you'll love it here. 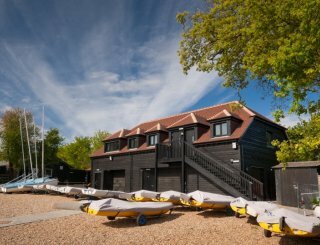 Charterhouse Outdoor Centre is set on top of the Mendip Hills in Somerset, in an Area of Outstanding Natural Beauty (AONB), near Cheddar Gorge. The centre is located in the quiet hamlet of Charterhouse and is a short walk away from Blackmoor Nature Reserve. Its location makes the centre an ideal venue as a base for walking, climbing and caving groups. If you're a family group you could visit some of the local attractions like the Cathedral City of Wells, Wookey Hole, Cheddar Gorge, Glastonbury or Weston Super Mare which are all within 30 minutes of the centre. The centre is comfortable, welcoming and child friendly. There is a modern kitchen and a large dining room where you can all eat together on bench seating. The dorm-style bedrooms fit between 4 and 6 people in each, in bunk beds, with 7 of the rooms having en suite shower rooms. Charterhouse can sleep up to 63 people in 12 dorms. There is plenty of space outside for you to enjoy and relax. We also have a visitors lounge and additional classroom available for use. Modern commercial kitchen with a large gas oven, 6 hobs, rational catering oven, dishwasher, fridge, freezer, usual kit to cater for large groups. Large hall that can seat up to 63 people on bench seating, which can be collapsed and moved around to suit your groups needs. There is a small lounge with 2 sofas and some bean bags to relax in. There is also a TV and DVD player, fridge, sink and kettle. Ceiling mounted projector and screen in the main hall and classroom with equipment/cables to play DVDs and music. There's also a TV in the lounge. The centre has WiFi for guests. Mobile phone coverage is poor. We don't have a games room as such although we have some board games, giant Jenga, giant Connect 4 and a TV. The centre is heated by gas/woodchip boiler. We have an open fire but the chimney has been capped so are unable to offer fires at present. 12 dorm rooms sleeping between 4 and 6 people in bunk beds. 7 of the rooms have en suites. A room plan is available on request. (Sleeps 63). A pillow is provided but you will need to bring your own bedding. 7 bedrooms have en suites including a shower. There is also a modern male and female toilet and shower block with 4 showers in each. One bedroom designed with disabled access in mind which sleeps 3. It has its own wet room. Charterhouse is a child friendly building, and has giant Jenga and Connect 4 available to use (not just for children!). Plenty of outside space to enjoy, a football goal, outside sink, hosepipe, welly racks and picnic benches plus a camp fire area. Our private car park can fit up to 20 cars plus there is some on road parking available. 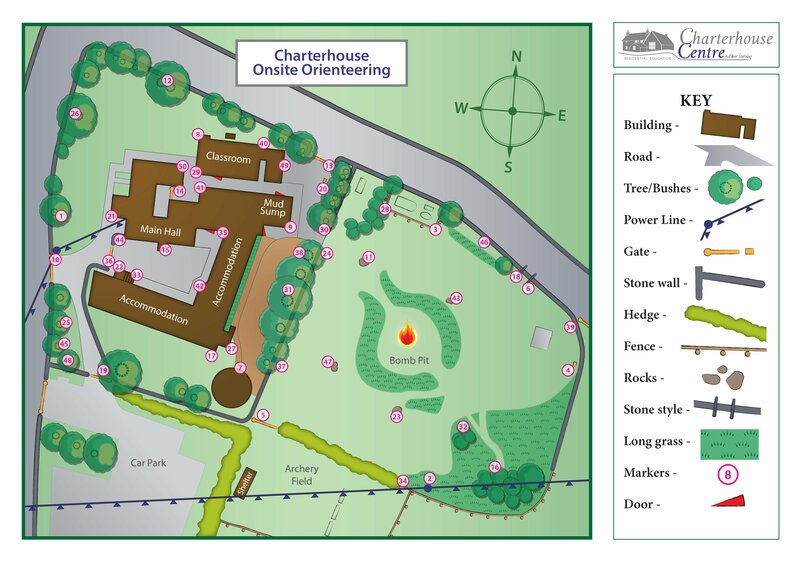 Charterhouse is about 30 minutes from the M5 (Junction 23) and 15 minutes from the A38. The Centre is at the crossroads in Charterhouse. Cheddar is the nearest town and is about 15 minutes away (5 miles). Cheddar has the largest selection of shops locally and also has a supermarket. Various restaurants/ cafes/ pubs in Cheddar, 15 minutes away. Burrington Combe Café 5 minutes away, 2.6 miles. The Castle of Comfort - East Harptree 10 minutes - 4.7 miles. Full terms & conditions will be sent with the booking form. A 20% deposit is needed to secure your booking. Full payment is required 4 weeks before your booking commences. A security deposit will also be taken and refunded after your visit subject to T&Cs being met. For more info contact the centre. Yatton train station is about 25 minutes away (11 miles). Bristol airport is about 20 minutes away (10 miles).